The emergence of blockchain technology equips industries across the board with solutions for inefficient data storage, payment transfer and more. Keeping pace with blockchain’s surging popularity, Google joined with Digital Asset to bring users a developer toolkit for decentralized applications (dApps). Announced on July 23, 2018, New York-based startup Digital Asset partnered with Google to launch a comprehensive, full-stack software developer kit (SDK) for building out dApps on the Google Cloud platform. Digital Asset provides distributed ledger solutions to users through its Digital Asset Modeling Language (DAML) platform-as-a-service (PaaS), which will be made available on the Google Cloud marketplace. Currently in private beta phase, the DAML SDK enables solution architects to build, test and deploy blockchain applications without the need to code the platform from scratch. DAML simplifies the writing of smart contracts and bestows developers with “an end-to-end toolkit” for streamlined dApp development by hiding ledger details and treating agreements as native constructs. Despite a persisting cryptocurrency ad ban, Google appears to be embracing distributed ledger technology (DLT) and their variety of applications across multiple industries as data storage, value transfer and security solutiona. Google is not the first tech giant to release developer tools for blockchain applications. 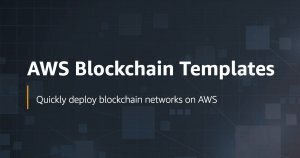 On April 19, Amazon Web Services launched a series of blockchain templates that offer developers an easy-to-access method for launching Ethereum or Hyperledger Fabric networks almost instantly. The post Google Cloud and Digital Asset Launch Blockchain Developer Toolkit appeared first on CryptoSlate.